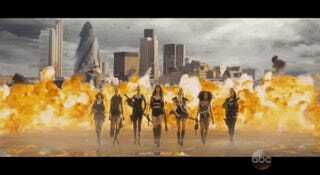 Yannick’s beloved Taylor Swift doles out weapons to every woman she knows and walks about in slow motion in her music video for “Bad Blood”, narrated by Kendrick Lamar. It’s about a dozen different movies I’d like to see set to a song that’s not quite as catchy as the other ones I’ve heard. Maybe that’s why there’s all of those explosions.